The National September 11 Memorial Museum serves as the countrys principal institution for examining the implications of the events of 9/11, documenting the impact of those events and exploring the continuing significance of September 11, 2001. The Museums 110,000 square feet of exhibition space is located within the archaeological heart of the World Trade Center sitetelling the story of 9/11 through multimedia displays, archives, narratives and a collection of monumental and authentic artifacts. The lives of every victim of the 2001 and 1993 attacks will be commemorated as visitors have the opportunity to learn about the men, women, and children who died. The monumental artifacts of the Museum provide a link to the events of 9/11, while presenting intimate stories of loss, compassion, reckoning, and recovery that are central to telling the story of the attacks and the aftermath. 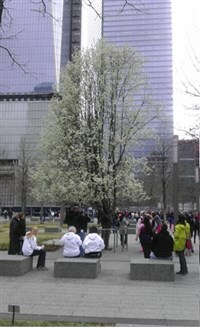 Early admission into the 911 Museum will then give you ample time to explore Lower Manhattan. The Seaport Historic District, Tribeca, Chinatown, Little Italy, SOHO, and Greenwich Village are all within walking distance. There will be NO stops en-route home.